I was delighted to recently receive a number of great products from Smashbox to try out – all of which hit the market as part of the Spring 2016 Collection. With a legendary cosmetic family pedigree, Smashbox Cosmetics has a history of introducing marvelously unique and long-lasting products. Smashbox cosmetics are designed to withstand both the demands of film stars and celebrities moving from photo-shoot to TV interview to photo-shoot, as well as the demands of everyday women – offering a great feel and wear throughout the entire day. After personally trying these products on a recent photo shoot for World Bride Magazine, I can safely say these are must-have products for 2016 – especially for all of the upcoming spring and summer brides! 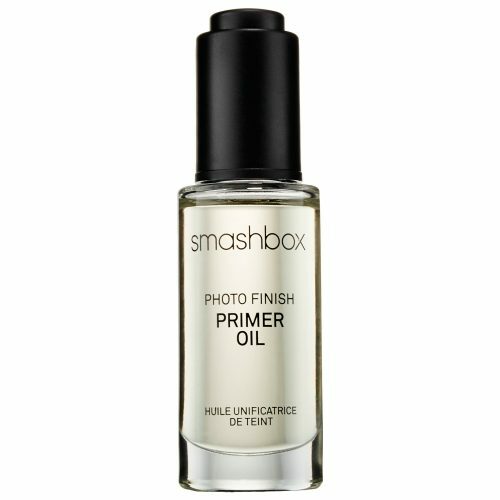 1) Smashbox Photo Finish Primer Oil – this product is simply astounding. Described as 50% primer and 50% oil, this first-ever photo finish primer oil is truly a 2-in-1 product – prepping the skin for makeup while also allowing for deep hydration. As part of a long-term skincare regimen, apply 2 drops of the product with fingertips twice daily to clean skin morning and night for a more youthful and age-defying skin transformation in as little as 4 weeks. At the great value of $42/bottle, this product will now become one of my essentials. 2) Smashbox Always Sharp Clear Lip Liner – not only does this product self-sharpen every time the cap is twisted off, but also essentially allows the wearer to keep and/or change their lip color without having to change the lip pencil color. Smashbox Always Sharp Clear Lip Liner allows whatever color of lipstick you wear to maintain its vibrancy and pop in addition to inhibiting the lipstick from bleeding – keeping the color right where you want it. Given the advanced self-sharpening technology and overall quality of this product I was impressed to discover that this product can be purchased for only $20. 3) Smashbox X-Rated Mascara – if you’re looking for mascara that never clumps, smudges, or flakes while doubling the volume of your natural lashes, this is the mascara for you. The product literally twists and wraps itself around your lashes – making them appear luxuriously thick and beautiful. Combine this product with Smashbox Photo Finish Lash Primer to make this mascara not only last longer, but also make it even more smudge-proof. Both of these products are part of the new mascara collection and can be purchased for $21. Whatever your New Year’s resolutions may be, make investing in high-quality skincare and makeup a priority in 2016. Your future radiant skin will thank you for it. All of these products can be purchased directly at Smashbox.com as well as in-store via your nearest Sephora, Nordstrom, Ulta, and select Macy’s.